One morning last week I woke up early, fixed my daily mug of French Press coffee, and sat in the windowseat gazing east. I'm in town and don't have a clear view of sunrise, but as I sat there silently, I was able to watch a new day begin, as the sky grew more and more light. And the birds were singing! Because my apartment faces a super busy street, it's easy to forget there are birds living in the few trees. The only ways to be reminded of that are to park under one of the trees (if you get my meaning), or to get up early enough that the daily traffic noise hasn't begun. By 7:00 a.m. or so, you can forget hearing birdsong. I have a habit of turning on my radio first thing in the morning. My air conditioner and heater are both noisy. So most days any sounds of nature are lost to me until I go out to walk. I'm so impressed by people who work long hours plus commutes, have major family and civic obligations, and still make time (I don't think "finding" time works) for silence. I recently visited with one such woman, who said sometimes she just sits in a lawn chair and does nothing. She intentionally sets time aside to let her mind relax a bit. Weather permitting, she's outdoors listening to the birds, watching the rabbits, letting nature heal her soul and spirit. I have no doubt that's one reason she gets so much accomplished and has such a good outlook. There are always plenty of things calling us to go here, do this. Busy-ness seems to be a badge of honor in our society. But constant going, doing, texting, emailing, working...doesn't give our bodies, minds and spirits time to rejuvenate. I hope to get better at making time for silence. Is this something you find easy, or challenging? Do you have tips for the rest of us, on how to set quiet time aside on a regular basis? If so, please share in the comments. 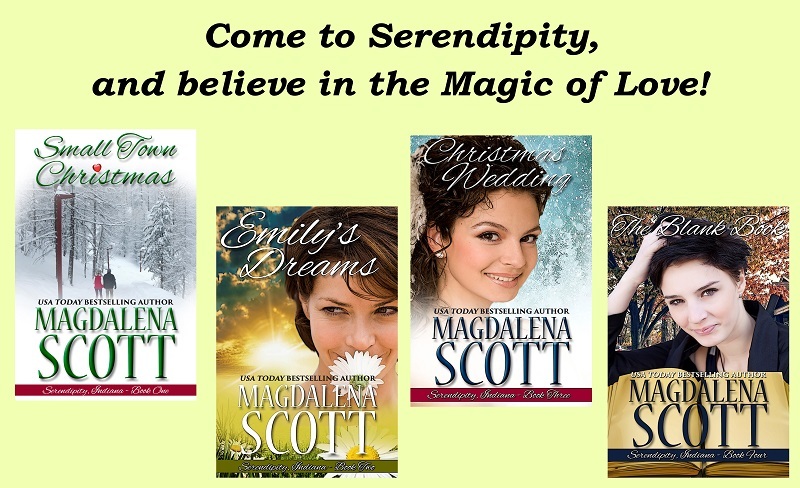 Magdalena Scott is a USA Today Bestselling Author. 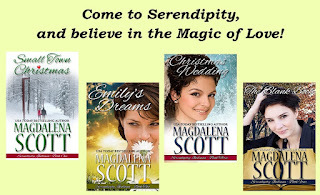 Her new series is Serendipity, Indiana: small town sweet romance and women's fiction. Click here to visit Magdalena's website, sign up for her newsletter, and read about her two series. Are you signed up for the Sweet Romance Reads Newsletter? Just scroll down; the signup form is in the right-hand sidebar. We'd love to see you at our Facebook Cafe too. Click here to learn about it. As the song says, "silence is golden." I treasure the silence I can find in this noisy world. 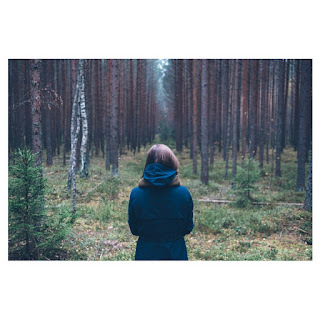 Thank you for visiting the blog, and for the reminder about the song, Michael. I'm treating myself to a Youtube of the Tremeloes. :) Have a great day! Magdalena, thanks for the thought provoking post. I think in this time you have to be very intentional about finding silence. It's a very noisy word. I took a walk the other morning in the park behind our house, and it was quiet. Just nature and me. How nice to have a park behind your house, Merrillee. Good for you, make time to enjoy it! Sounds like a delightful respite. I think you are right- connecting it to a cup of tea or coffee works well for me. A "doing" non-doing time. What a wonderful idea, Shaleen. A "doing" non-doing time could make all the difference! I don't do this often enough, making time to do nothing. Excellent, reminder! It's good to listen to Nature. When I lived north,I used to watch the birds and chipmunks in my backyard. Now I walk along the beach, watch the ocean and listen to the waves and plot new stories. Your nature walks sound wonderful, Mona! Definitely inspiring.